Birth defects are a global concern for maternal and child health. The three-level prevention of birth defects control in Tianjin has formed a characteristic model. Genetic testing has been applied to Tertiary prevention with remarkable results. 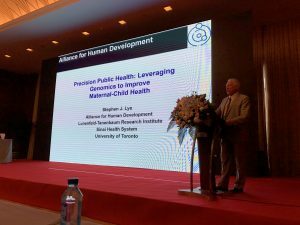 This conference not only introduces the experience of Tianjin, but also discusses the further application of gene technology in birth defect control, so as to improve the overall level of China’s birth defect intervention and assistance. Gene technology provides a new direction and technological development thinking for the prevention and control of birth defects. 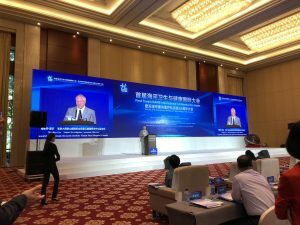 The holding of this conference is of great significance to comprehensively and scientifically safeguard the health of mother and baby and realize the long-term plan of the healthy China strategy. This conference will give special lectures and academic exchanges about the following content: the latest progress in prevention and treatment of birth defects, prenatal screening and diagnosis, prenatal ultrasound diagnosis, hearing screening, newborn disease screening, genetic disease diagnosis, prevention and control, prenatal eugenics testing services and application of high-throughput sequencing technology. This conference with clear theme and rich content will focused more on prevention and control of birth defects, also explore the opportunities and challenges in the future. We will jointly build a high-level academi cexchange platform for prevention and control of birth defect.